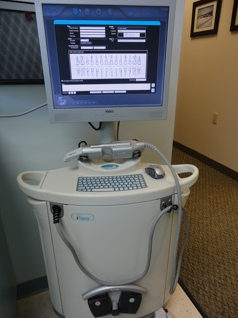 The iTero Scanner is one of the most exciting achievements in dentistry to date. By using the iTero Scanner, we can create a digital map of your mouth. We then use the images collected to create crowns, bridges, and surface in-lays for you. This technology helps dental professionals perform these procedures in a precise manner, while eliminating the need for inconvenient alternatives that can otherwise be bothersome to the patient. In the past, impressions of a patient's oral cavity was often a nuisance as it was both time consuming and uncomfortable. Traditionally, large metal trays were used with liquid impression material against the upper and lower jar. Patients were often concerned with the danger of gagging or swallowing the excess impression "goop." The iTero Scanner significantly alleviates these concerns. Our patients do not have to endure any further discomfort or anxiety while we take their impression. Now the entire activity is conducted digitally, eliminating the need for liquid impression material. After we have finished taking snapshots of your entire oral cavity, we then create a 3-dimensional landscape using the digital photography. The technology is much more convenient than the old method and has been found to be even more accurate than using liquid plaster.